Wondering which SUVs and vans seat 9 passengers in 2017? 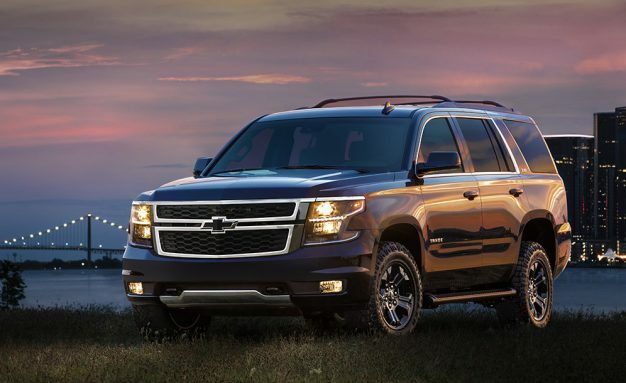 If you are looking for the best vehicle to haul your large family and all of their belongings, the list below will help. All of these vehicles are super spacious, have a 3rd row that is comfortable for adults, offer plenty of cargo space and have decent fuel economy for their class (they’re pretty big and heavy, so don’t expect them to sip gas!). The 8 nine passenger vehicles list below are the top ranked makes and models based on a number of factors including: price, fuel efficiency, safety ratings, features, reliability, size of the interior, 3rd row room and reviews by automotive journalists. If you’re interested, you can learn more about how we calculate the ratings. 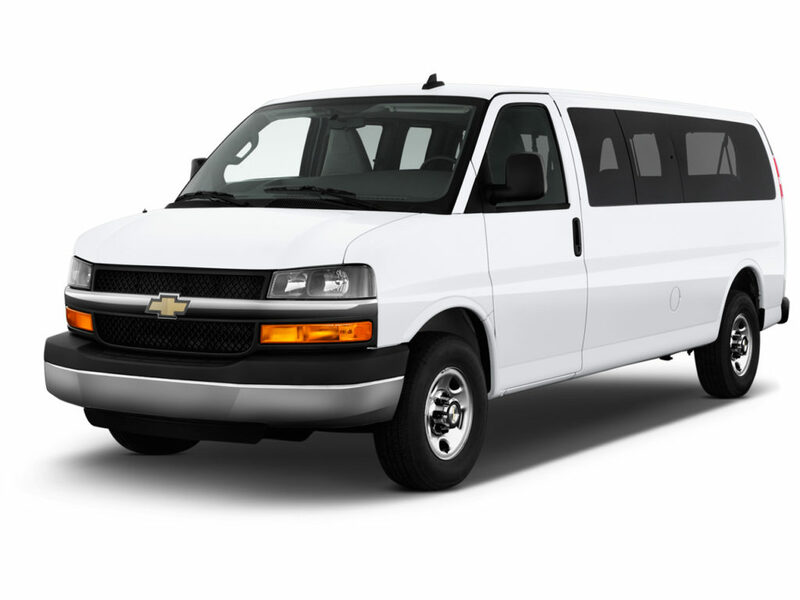 A direct competitor to the above-mentioned Ford Transit, Chevrolet’s premiere people-carrier has the same utilitarian focus as the Transit. Chevrolet’s 2017 model Express is almost identical to the previous model year. Two gasoline powered V-8’s are on display here, the base model engine being a 4.8L V-8 with 285-hp and 295 lb-ft of torque. It never goes so far as to be short on power, but it doesn’t have an abundance of acceleration and, when under load, can begin to struggle. The better option, with similar gas mileage, is the larger 6.0L V-8. Producing 342-hp and 373lb-ft of torque, the 6.0L is much better equipped to handle freeway acceleration and heavy loads. There’s ample space for 12 passengers in the Express, but the seats are lacking in comfort compared to the more well-rounded Transit. Accommodations never feel like they’re lacking in space, but extended trips with a full cabin can begin to wear on passengers. Standard safety features include six airbags, blind spot mirrors, and the now standard ABS and stability control systems. 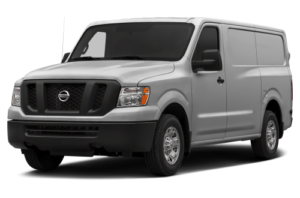 A heavy-duty hauler van with an attractive entry-level price, the Nissan NV 3500 Passenger Van is a serious option for those who need the function a lighter-duty van won’t provide. In contrast to the Transit or the Sprinter, the Nissan NV goes all out on function to fulfill its intended purpose, and falls short in ride comfort for its passengers. 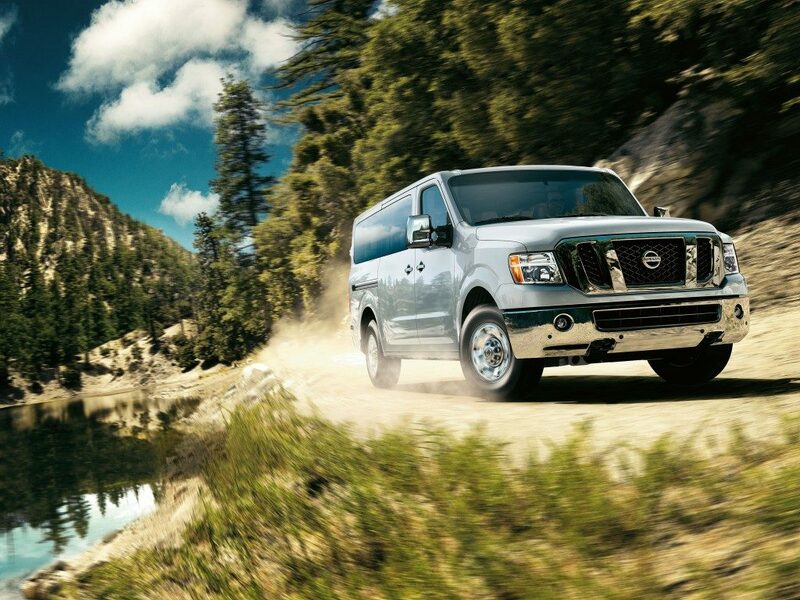 If a rugged workhorse that will tack on the backroad miles with ease is needed, the NV 3500 is a solid option. The Nissan’s frame is a modified version of the Nissan Titan pickup truck, with a powerplant to match. The biggest change for the 2017 model year is the 5.6L V-8, which has been bumped to a rumbling 375-hp and paired with a 7-speed automatic transmission. A 4.0L V-6 is the base engine option, but for buyers considering the strengths of the NV 3500, the V-8 will be the clear winner. 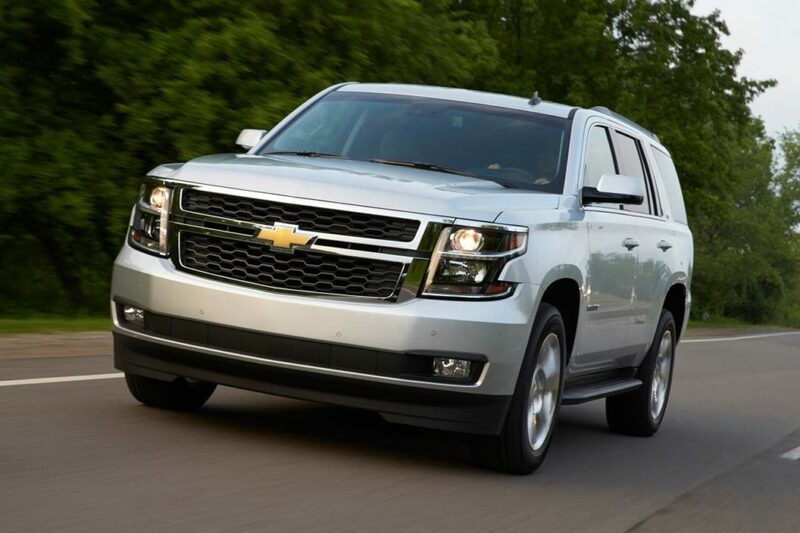 Both engines are high on fuel consumption, but the larger V-8 can haul up to 8,690 pounds. Interior cargo capacity maxes out at nearly one and a half tons. 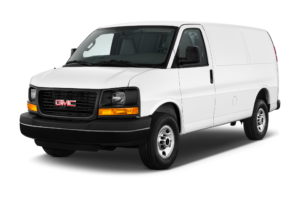 This really is a workhorse van aimed at people looking to do serious hauling with their passenger van. 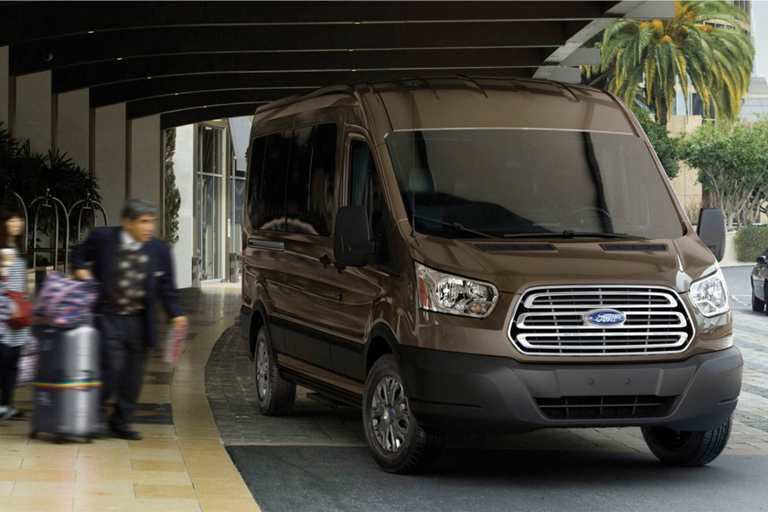 Inside, the NV 3500 can have up to four rows, and the back three rows can all be removed to create additional cargo space. The second and third rows can also be adjusted instead of removed to create a customizable seating/cargo space configuration. There’s plenty of space for passengers, but the major downfall of the NV 3500 is the ride quality. On a slightly uneven surface the NV 3500 is a bumpy ride. 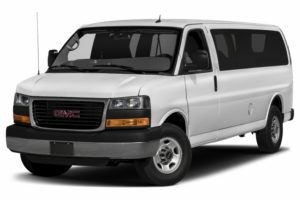 The GMC Savana is directly related to the Chevrolet Express van, and the only model in that class offered by GMC. Like the Express, the Savana has undergone few changes from the previous model year, and has similar drawbacks. The major selling point for the Savana is its price, running for slightly less than its competitors offerings. The same 4.8L V-8 and 6.0L V-8 feature in the GMC Savana, providing 285-hp and 342-hp, respectively. The obvious winner is the 6.0L V-8, getting only a marginal reduction in gas mileage but benefiting from a considerable and much-needed increase in power. Anyone considering hauling duty, whether passengers or cargo, need strongly consider the larger available V-8. The same 12 or 15 seat passenger configurations are present in the Savana, which has plenty of interior room to comfortably seat all its passengers. The seats have the same basic feel as its Express cousin, as does the rest of the Savana’s large interior. 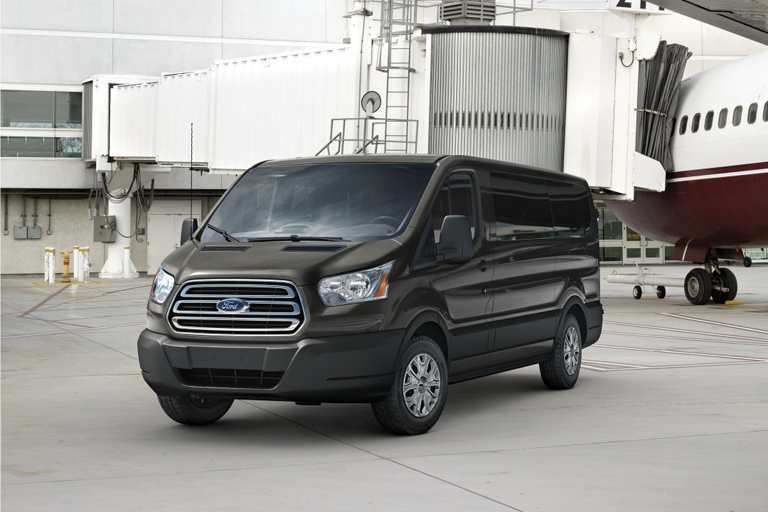 Thinking of buying one of these 9 passenger vans or SUVs? Already own one? Leave a comment and let us know what you think of it! Over the years we’ve owned several different types of vans. From a full-sized Ford Econoline (camping van interior) w/detachable tables and captains chairs in the early 80s to an ’85 Toyota minivan (7pass), an ’87 Mitsubishi mini van (7 pass) one of my personal faves, a 2000 Chevy Tahoe, a 2002 Chevy Express van full size camping model, a 2004 Chevy Venture mini van (7 pass) which didn’t compare to either of the other minivans in quality or versatility, to a 2007 Mercedes Sprinter mini Motorhome. This one is the absolute best overall in quality, comfort, reliability and economy. It is a 5cyl. 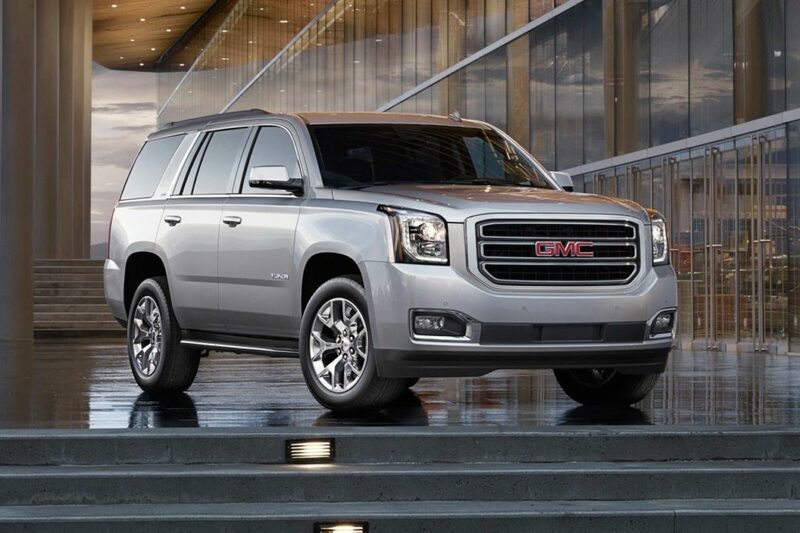 turbo charged diesel w/ surprisingly good torque, seamless power and great mileage. I squeeze out better than the rating by driving efficiently and that’s a real charge and ego booster. A friend of mine just picked up a 2016 12 passenger Sprinter van. It’s a four cyl. turbo-diesel and delivers comparable power and mileage as my 5 banger. The difference is mine is a 10,000 lb vehicle empty and the outside height is about the same around 10 1/2 ft. 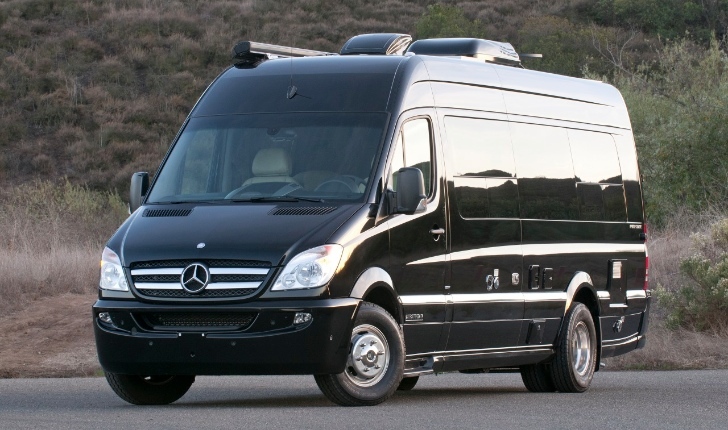 I personally don’t believe the other ones can quite match the longevity and quality of the Sprinter especially under severe use. The thing is bullet proof and has serious longevity/quality based on European stats. Today’s market demands all of those attributes and this Sprinter comes closest to delivering on all fronts. That’s just my observation, Cheers!